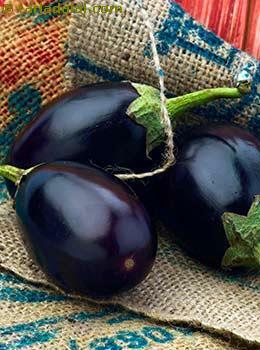 Brinjal also commonly known as nightshades are cousins of potatoes, tomatoes and bell peppers. They hang from vines and some varieties actually look egg shaped- which is why the name "Eggplants". The skin is glossy and usually deep purple in color, while the flesh is creamish and spongy in texture. The glycemic index of brinjal is 10 which falls under low GI category. The carbohydrate content in 1 cup of chopped raw brinjal (approx. 100 grams) is just 4 grams which makes the glycemic load of 1. Is Brinjal safe for Diabetics? Selecting complex carbohydrates and distributing them evenly throughout the day can keep your blood sugars stable. This is because carbohydrates have the major impact on blood sugar levels compared to protein and fats. Increase in carbohydrate content will make your blood sugar levels haywire and gradually the effect will be seen. The major advantage of inculcating brinjal in your diabetic diet is because of its high fiber content (6.3g) and low carbohydrates (4) in 1 cup of chopped raw brinjal. Fiber plays an important role in managing blood sugar levels. It slows down the absorption of the nutrients and keeps you full for a longer period of time. Choose brinjal over any starchy vegetable and get good amount of fiber very easily. Fiber is also known to improve your lipid abnormalities. Is Brinjal suitable for Weight Loss? Extremely rich in fiber with very low calories, brinjal is an absolute healthy option for all the weight watchers. In fact, 1 cup of chopped raw brinjal provides around 24 calories and 6.3 grams of fiber. Fiber contributes in weight loss by keeping you full for prolonged period of time. Thus controls your appetite and reduce overall calorie intake without remaining hungry. Preferably have small and frequent meals. Try to replace high calorie- low fiber meal by low calorie-high fiber ones to get better results.